The waters around St. Eustatius are some of the most pristine in the Caribbean and even throughout the world. Diving here is diverse with several unique habitats including walls, historical wrecks, patch reefs, macro dive sites, lava flows, boulder slides, and rock outcroppings. Because mass tourism has yet to arrive to Statia, the advantages are two-fold. First, the reefs have not suffered due to overexposure to human guests. Second, you are likely to have every dive site to yourself. Because of Statia’s historical importance, there are several underwater archaeological sites found around the island. Most of these are ancient sunken ships that have since become indistinguishable with coral overgrowth. However, there is one other type of site called the ‘Blue Bead Hole.’ The blue beads hold historical importance in St. Eustatius. They were manufactured in Europe out of blue glass and were used as a reward for slaves in the 17th century. The beads are the only artifacts divers are allowed to bring up and in certain areas of the harbor, divers have found many of them. The blue bead site is a sandy bottom landscape with occasional stones. Even if you don’t find an elusive blue bead, the dive is sure to be enjoyable owing to frequent sightings of the Peacock Flounder and Flying Gurnard in the this area. 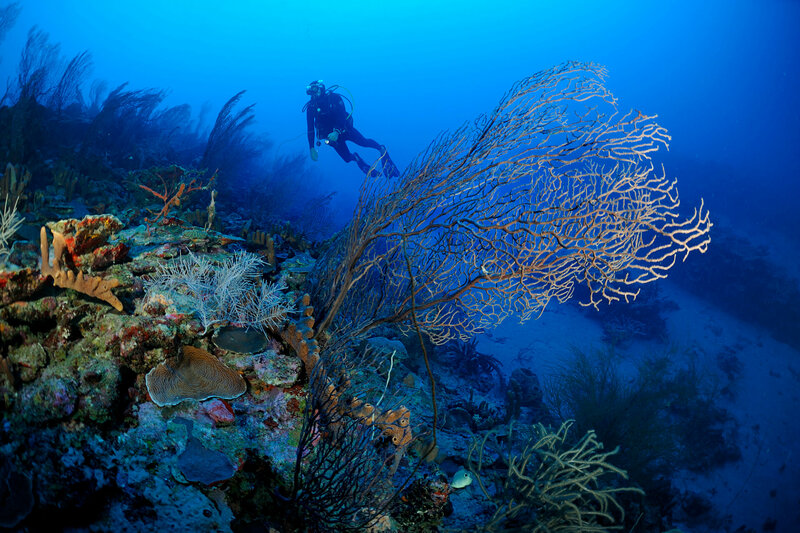 With so many different habitats, there is plenty more for divers to discover. 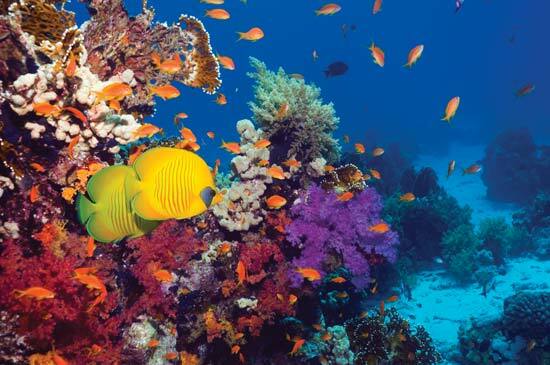 Reefs and walls give habitat to many creatures. And the lava flows and outcroppings make for interesting underwater panoramas. You won’t be bored for choice in St. Eustatius. Divers can expect warm tropical weather year round with waters that range from 79-82°F (26-28°C) and variable visibility depending on the site. While it can rain at any point throughout the year, dry season generally lasts from January to June. July to December brings greater risk of rain and hurricanes. 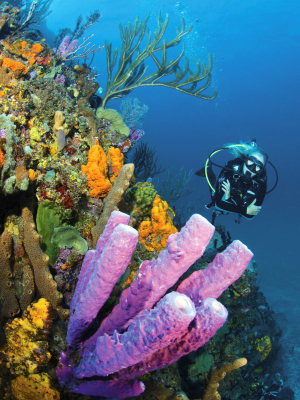 However, you are sure to love diving at any time in the remote paradise known as St. Eustatius.